Cantor Andrew Edison received his B.A. degree from Montclair State University in 1964 in Music Education. He later received his M.S. degree from Monmouth University in 1979. He completed his education with a Bachelor of Sacred Music degree from Hebrew Union College in 1984. He is an ordained and certified Cantor, a certified principal and supervisor in the public schools of the State of New Jersey as well as a certified music teacher. He served on the faculty of Hebrew Union College - Jewish Institute of Religion - School of Sacred Music for sixteen years. He also served as the President of the Cantorial Alumni Association of his alma mater. Cantor Edison has served as Principal of Temple Beth Miriam's Religious School in Elberon, New Jersey. 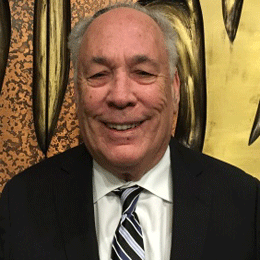 He began his cantorial career at the Reform Temple of East Brunswick (Temple B'nai Shalom) and then served Temple Sinai of Roslyn, New York where he became Cantor Emeritus. He has now returned to Temple B'nai Shalom to serve as its Cantor.